The Banjo has five strings. Our strings are designed for standard tuning — g. C. G. B. D. or g. D. G. B. D. There are many different banjo styles and each requires its own particular type of strings. 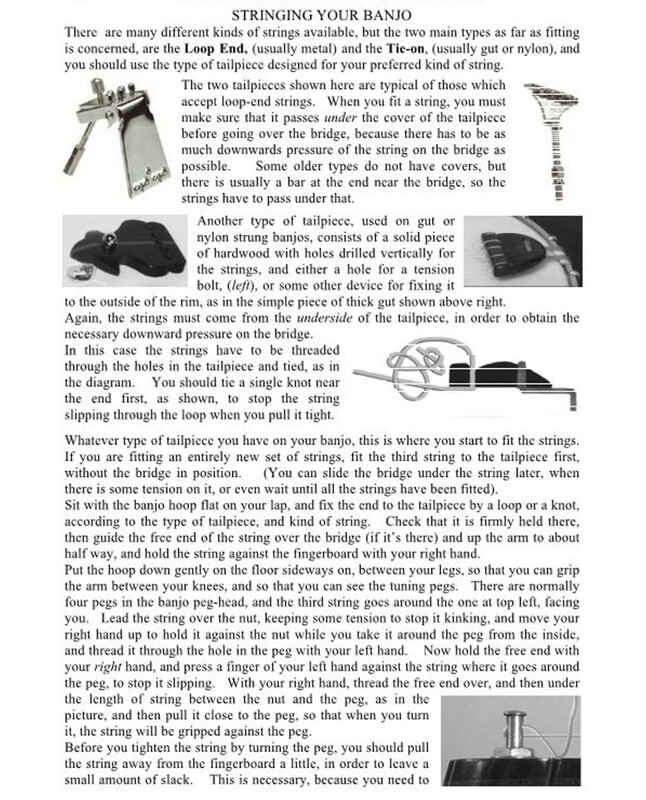 To achieve the correct sound the bluegrass player will use steel strings with a phosphor bronze or nickel round wound 4th and sometimes 3rd string. While the classical banjo player will require nylon, gut or synthetic gut strings with a nickel wound or silver plate on nylon 4th string. 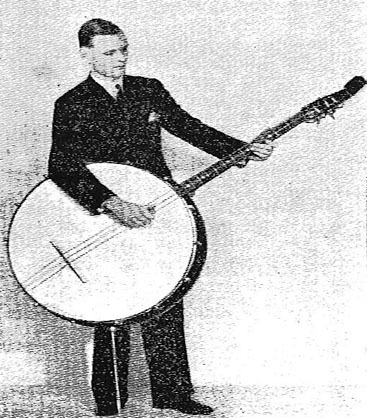 Some players prefer a combination of both, like some of the frailers, clawhammer exponents or zither-banjo players. 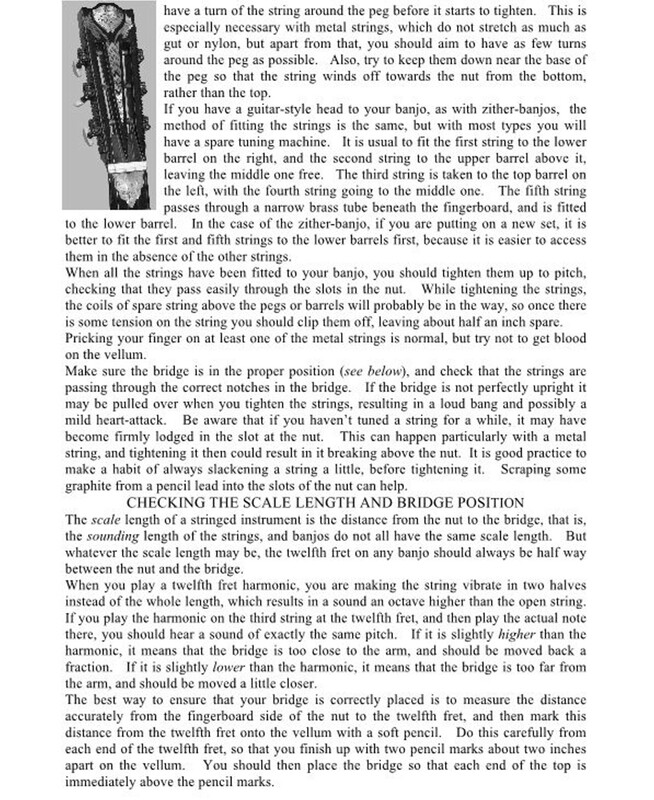 There are no hard and fast rules relating to string gauges — it is all very much a matter of personal taste and depends on the style you play, the tone you prefer and what best suits your instrument. A high quality instrument often lends itself to heavier strings achieving a crisp bright treble sound and a big round bass. While the same strings on a cheaper instrument may sound dull and lifeless and lighter strings would be needed. If you have recently acquired an instrument you will need to experiment with various gauges until you find your ideal tone. When you do, you will know instantly and will stay with them. Mandolin-Banjo: 4” - 5” hoop. Term used in the UK to describe a small, often poor quality eight or four stringed instrument tuned GDAE like the mandolin. Piccolo-Banjo: Hoop sizes vary. Half the size of, and tuned an octave above the five string banjo. Ukulele-Banjo: 6” - 8” hoop. Resembles small plectrum banjo. Various tunings, the most popular being ADF#B and GCEA. Banjorine (spelt Banjeaurine in the USA): 8” - 12” hoop. Tuned a fourth interval higher than the five string banjo. Zither-Banjo: 7” - 9” hoop. Tuned as the five string banjo, but uses some wire strings. The vellum is suspended in a closed back wooden hoop. Banjo: 11” hoop. Five strings tuned gCGBD. Plectrum-Banjo: 11” hoop. Four strings tuned CGBD. Tenor-Banjo: 11” hoop. Four strings tuned CGDA. Banjolin: 11” hoop. Known as mandolin-banjo in the USA. Tuned GDAE with four or eight strings. Guitar-Banjo: 12” hoop. Tuned as the guitar: EADGBE. Bass or Cello-Banjo: 13” - 14” hoop. Tuned one octave lower than the tenor banjo. Contra-Bass Banjo: 18” hoop. Three strings tuned EAD.